Five young grandkids add a lot of excitement to the holidays for everyone, and their joy is contagious! 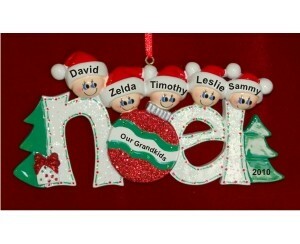 Celebrate this special time for a large family with the 5 grandkids noel personalized Christmas ornament that makes a wonderful gift for both generations. 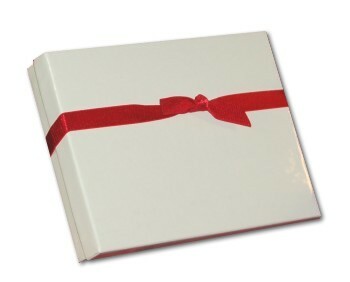 Grandparents will cherish it now, and in years to come, it will be a treasured memento for the youngsters. These grandparents ornaments personalized from Russell Rhodes include the names and sentiment painted by hand where shown, but using a beautiful font fitting for the ornament. The noel 5 grandkids personalized Christmas ornament arrives to bring delight to all in our classic velvet gift and storage pouch.